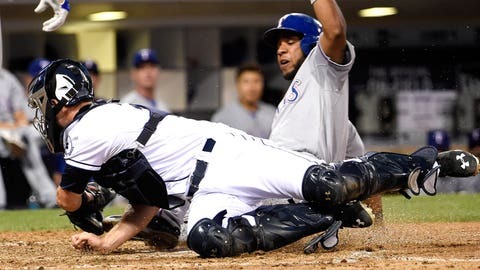 Elvis Andrus took a chance, and it paid off thanks to the Padres' lack of focus. Andrus decided to attempt a straight steal of home plate, guessing that Quackenbush wouldn’t react in time … and Andrus was absolutely correct! The word "dynamic" comes to mind when describing Andrus’ efforts on Tuesday night, and they had to make the Rangers pretty proud of their young, talented shortstop.